This connector allows connection of radiators from the airplex modularity system. The connector replaces the connection terminal on two radiators. 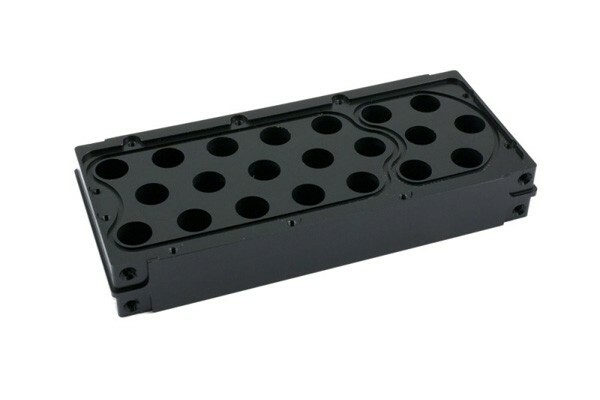 Its is made from black Delrin and is compatible with radiators with one as well as radiators with two cooling loops. Mounting is realized by screwing the connector to the original side panels on the radiators, additional material is not required. With these connectors it is possible to achieve a large array of configurations and dimensions to create the radiator which is perfect for your needs!